Horoscope of Donald Trump – Prediction of an event. Important points of his chart. Birth Chart – As we can see that he is born as Leo Ascendant with Mars in 1st house, Jupiter in 2nd house/Virgo, Ketu-Moon in 4th house/Scorpio, Rahu-Sun in 10th house/Taurus, Mercury in 11th house/Gemini and Saturn-Venus in 12th house/Cancer. Mars in 1st house/Leo – 1st house is life path, Leo is the sign of Kings and Mars represents Real Estate + Mars also rules his 4th house/Scorpio of Real Estate. Things can’t be more clear or simple than this I guess. He reached his King-like status in life through family business of Real Estate. Jupiter in 2nd house/Virgo – Jupiter represents our Morales and Values. Jupiter is in enemy sign. Whenever Jupiter is weak in dignity, person can compromise in matters of morales and values. Also, 2nd house is house of Speech. So, person can speak such things which are not very moralistic. At the same time, Jupiter in 2nd house of wealth expands his wealth like anything. Lunar Eclipse – He was born on Lunar Eclipse day. Also, he has Moon debilitated with Ketu. Rest I prefer to quote from Wikipedia (https://en.wikipedia.org/wiki/Mary_Anne_MacLeod_Trump) – “In 1990 she asked, in reference to her most famous child's tabloid-level public doings, especially in relation to daughter-in-law Ivana and paramour Marla Maples, "What kind of son have I created?” I think this statement speaks enough about his relation with his Mother. Rahu-Sun in 10th house/Taurus – Rahu in Taurus or Rahu in 2nd house normally creates a filthy rich person because Rahu explodes the results and Taurus is sign of wealth & assets. So, in such cases, wealth gets exploded which means lots of wealth and assets. Also, Rahu & Jupiter, 2 planets of expansion are aspecting each other which further expands his wealth. 10th house is also house of Fame and 10th house/Sun both represents Father. Rahu represents unusual/weird things. So, it gave him an unusual fame in world plus I feel that his relation with his father was equally unusual. He created all his mega-wealth during Mars MD & Rahu MD only between 1991 to 2016. Relationship Life – For all Leo ascendant people, relationship is a difficult aspect of life. It is because malefic Saturn rules their 7th house of relationship and it also rules their 6th house of disputes. So, for Leo ascendant people, relationship & disputes go together. If they are in relationship then there is every chance of dispute simultaneously. There is no smooth relation for them. Also, he has Saturn-Venus in 12th house/Cancer. Neither sign-wise nor house-wise, it is a good dignity. Venus and Saturn both are in enemy sign. They both are in 12th house of losses. Understand that any planet, even exalted, in 12th house is kind of loss of that planet to begin with, especially in matters of living significances. Now, if you want to gain out of that planet in 12th house then you have to put extra effort in those things. So, Venus in 12th house is loss of relations for him and he was required to adjust and compromise more in his relations. Last but not the least, Venus + Saturn is not a positive conjunction to have in matters of relation as Saturn will bring stress in relations. Hence, his tumultuous relationship life. Ketu-Moon Conjunction – This one conjunction can indicate many things. Ketu is isolation and Moon is Mother & Emotions. So, it creates a person who is isolated and separated from Mother (either physically or mentally). It can also create someone who can be detached and emotionless. It can give access to the occult side of life or other worldly things. In some cases, it creates a possibility of someone having remembrance of past-lives. But what I am inclined to talk here is being detached and emotionless. Lord Krishna – They say that Lord Krishna was born with Ketu-Moon in Taurus ascendant. Now, if we closely observe his discourse of Bhagvad Geeta then it is all about getting detached. Throughout Geeta, he tried to tell only one thing to Arjun and that is to detached from his actions. He tried to tell that Arjun should not think himself as doer but only a means and surrender his actions to supreme power. In actual sense, Krishna was telling Arjun to be detached from his own emotions for his family members, teachers and elders because those emotions only were becoming blocks as selfish reasons for Arjun to not to fight the war. Now, Ketu-Moon in Scorpio person can also be detached but he is detached about other’s emotions. And this is the main difference. Krishna was telling Arjun to get detached from his own emotions and work for serving a higher cause. In doing so, it doesn’t matter how much emotional suffering Arjun may have to go through but it is his duty to work as a non-doer now. But the person with Ketu-Moon is Scorpio can be detached with other’s emotions or feelings but he will remain super-attached with his own desires and emotions. That’s what the difference is and that’s what we have seen so far in Donald Trump’s tenure as President that majority of his decisions are against the emotions and feelings of people. So, he is detached from emotions too but this detachment is from others’ emotions. He can be all about his own selfish interests. That’s how two polar opposites/extremes can work in relation to detachment. It is easy to get detached from other’s emotions and feelings but real task is to detach yourself from your own interests, emotions and feelings. Prediction of an event – Now, a prediction of a probable event for Mr Trump. He became USA President right after the beginning of his Jupiter MD in Nov, 2016. It is quite reflective of Jupiter’s aspect on his 10th house in birth chart and Jupiter Return for him in 2016. He will be under Jupiter-Saturn dasha from Jan, 2019 to July, 2021. Jupiter rules his 5th house/Sagittarius of Happiness and 8th house/Pisces of sudden events/changes. Jupiter sits in 2nd house/Virgo in enemy sign. 5th house is 8th from 10th house. 10th house is Fame. 8th house is Death. So, 5th house represents Death of Fame or Defamation. 8th house also represents Scandals and Controversies. Saturn rules 6th house/Capricorn of Conflicts & Disputes and 7th house/Aquarius of Other People/Masses. Saturn also sits in enemy sign in 12th house/Virgo. 12th house itself is house of losses and Saturn dashas always bring the biggest of changes & challenges in life. Now, as both MD and AD planets are not in good dignity, expectation of a positive event is very less. Now, the last part, i.e. annual transits. Saturn will be in 5th house/Sagittarius in 2019 and will move to Capricorn in Jan, 2020. As discussed, 5th house represents defamation. 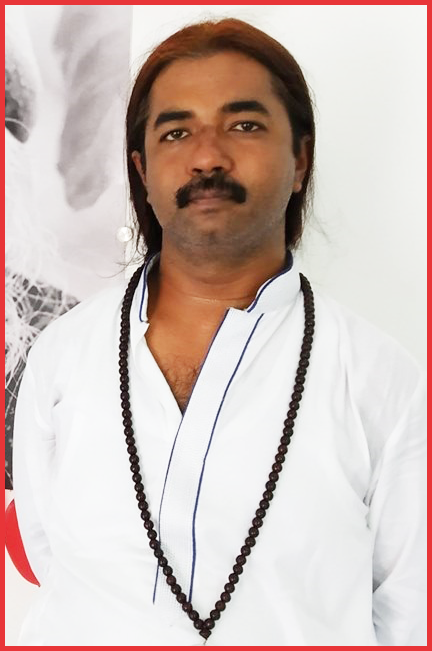 Saturn brings limitation and in 5th house, his happiness factor can be very limited. Also, Saturn represents time, so it is karaka of death, hence it can certainly bring death to his fame, i.e. defamation. Saturn will be joined by Ketu from March, 2019 and this conjunction will remain for rest of 2019. Now, 2 strong malefic in 5th house. Between Nov, 2019 to Jan, 2020, Jupiter will join Saturn-Ketu in 5th house/Sagittarius. So, 3 planets in 5th house. Between Dec, 2019 and Jan, 2020, Sun-Mercury-Venus will also transit through Sagittarius. So, at one point of time in Dec, 2019 - Jan, 2020, there will be at least 5 planets in his 5th house. It can lead to an event where a major controversy or scandal can come up and he can get into situation like defamation. 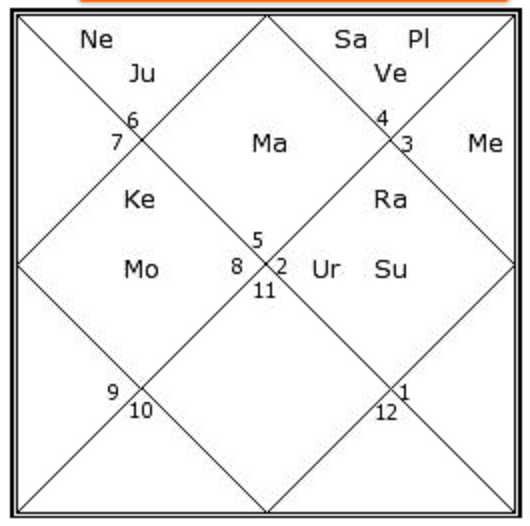 More precisely, during this time in Dec-Jan, his dasha will be Jupiter-Saturn-Ketu and all 3 will be transiting in 5th house. So, we can expect some major controversy coming up at that time. Conclusion - So, this is one of the way by which we can predict an event. 1st step is planetary dignity in birth chart and what it is promising there as an event, i.e. good or bad. Then look when these planets are activating in MD/AD/PD and then the last step is transit of dasha planets plus other planets. If they all are impacting same house and indicating same event then that event is more possible to happen.